A person is in serious condition following a late morning shooting in Stocton. Shortly after 11 a.m. on Sunday, November 5, Stockton Police responded to the vicinity of Pacific Avenue and Swain Road after receiving calls of gunshot fire from a vehicle. While enroute to the location, officers were advised the suspect vehicle was involved in a collision with another vehicle near Swain and Inglewood. A firearm was located near the suspect driver who was sitting outside the vehicle. 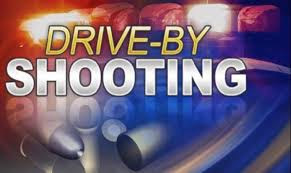 While officers were investigating this incident, a local hospital advised that an adult male gunshot victim had arrived at the emergency room by private party and was suffering from multiple gunshots and in serious condition. Police arrested Isaac Antonio Escobar, 24, for weapon charges and attempted murder. Escobar is not eligible for bail and no arraignment has been scheduled. No Comment to " Victim in Serious Condition in Stockton Shooting, Suspect Arrested "